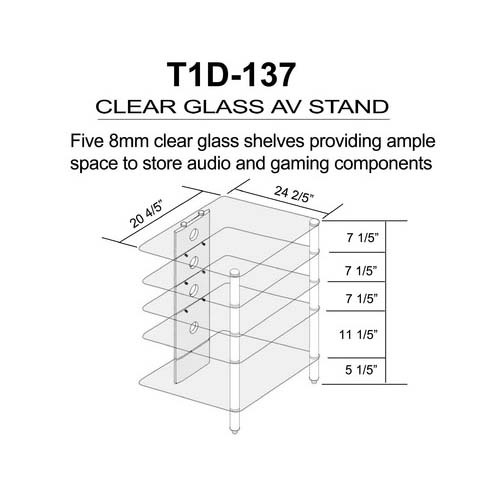 More on the Tier One Glass Audio Component Rack (Clear or Black Glass) T1D-137 below. 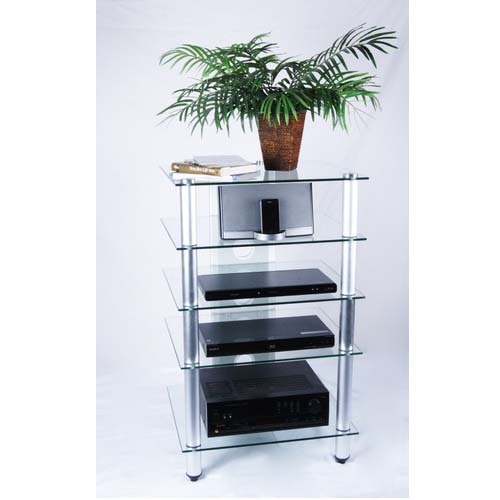 A simple and sturdy, polished-aluminum frame with powdercoat finish. 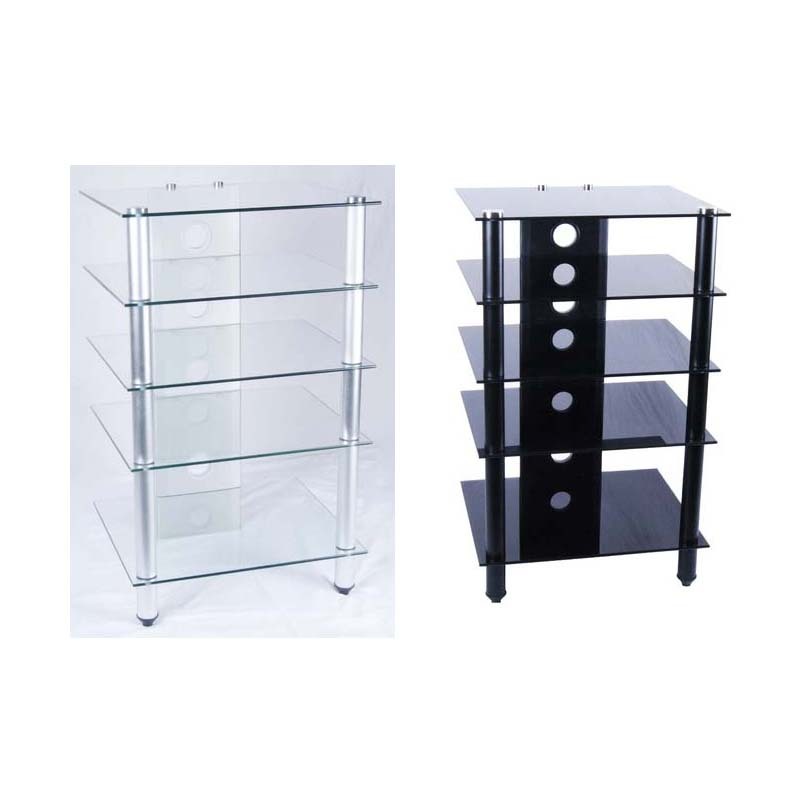 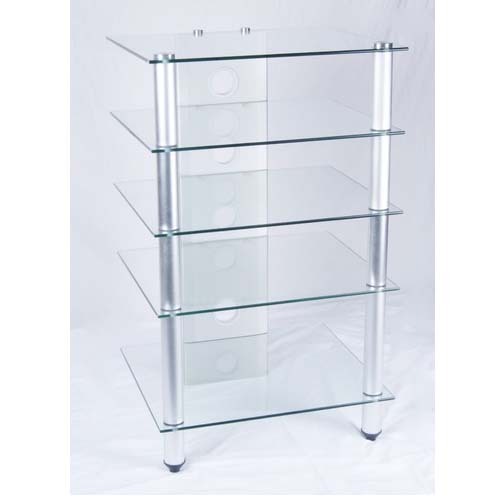 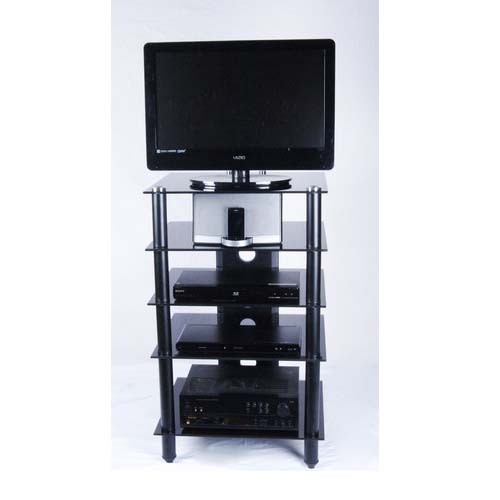 Choose clear glass shelves and silver frame or black glass shelves and black frame. 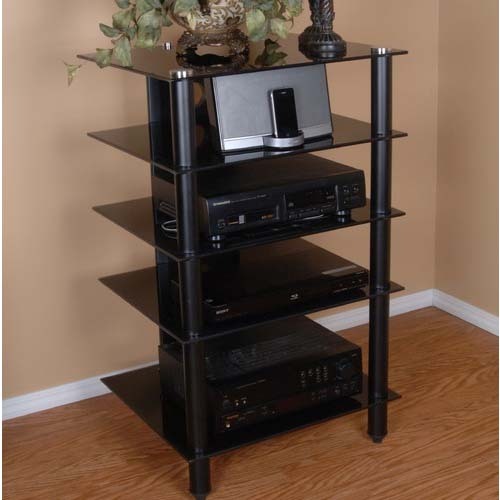 Cable management routes and organizes your wires. 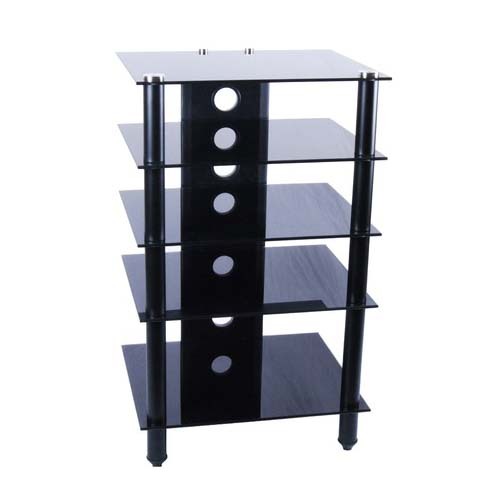 66 lb weight capacity per shelf. 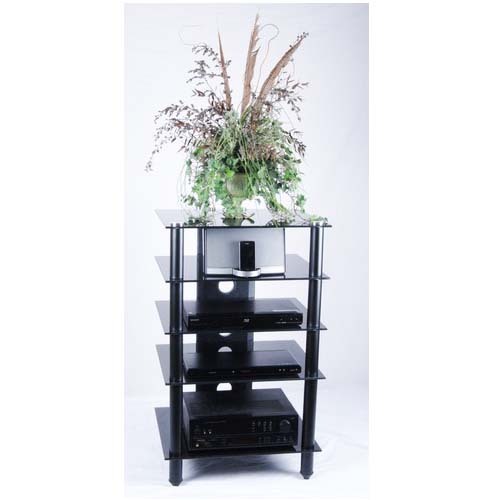 A 1-year limited Manufacturer's warranty against defects.